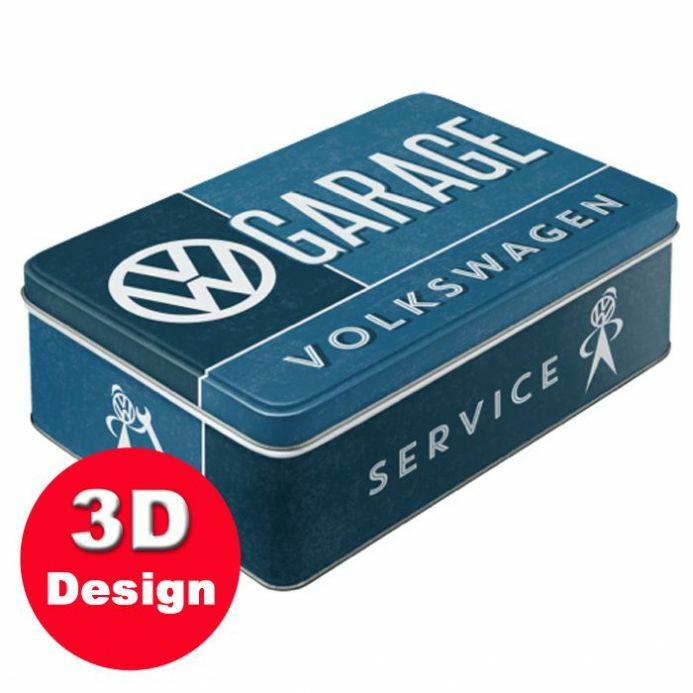 Great Garage Metal Storage Tin, store all your bits and bobs in this retro looking embossed metal tin. Comes with Hinged Lid. Key Text and Pictures on the Lid are in raised embossed metalwork. Size : 26cm long by 16cm wide by 7cm high. Size : 26cm long by 16cm wide by 7cm high.